Agrā pavasarī bieži sastopama maza lapiņsēne, kura aug ārā no kritušiem egļu čiekuriem. Ēdama, uzreiz cepama, taču ir tik sīka, ka parasti nav vērts vākt. The diameter of its cap rarely exceeds 3 cm. Spore powder is creamy-colored. It grows abundantly on fallen spruce cones, often several fruit-bodies on a single cone. It is one of the first tiny mushrooms to appear in the early spring, just after the snow has melted away (growing season lasts from December to April). It is very common in Latvia. One can fry it without boiling. However, the fruit-bodies are so small that usually it does not make sense to collect them. 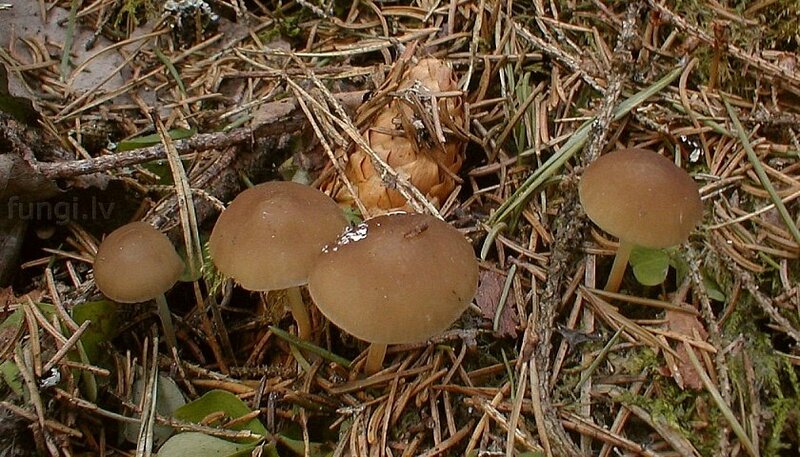 The diameter of Spruce-cone Toadstool's cap is similar to that of a spruce cone. Egļu čiekursēnei cepurītes diametrs ir aptuveni tāds pats kā egles čiekuram. 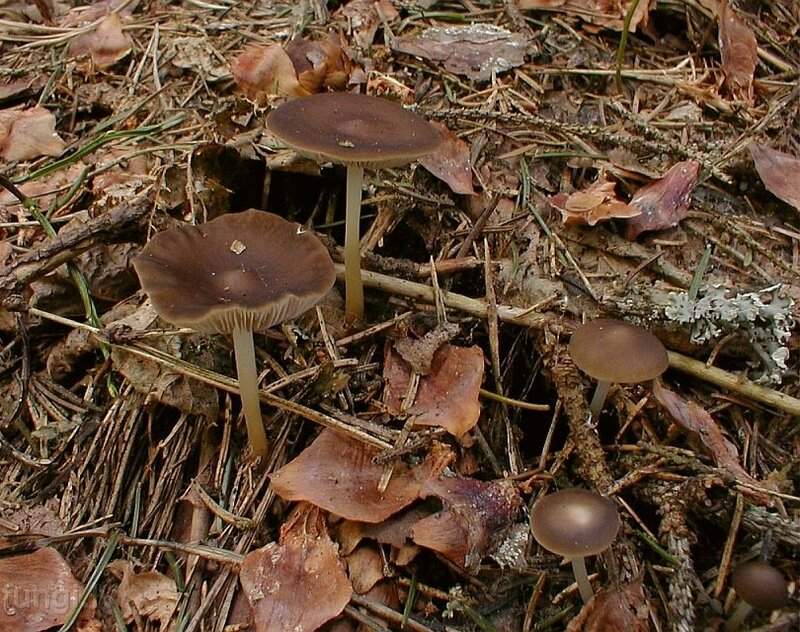 Though the cap of Spruce-cone Toadstool is always brown, the exact shade may vary considerably. Egļu čiekursēnes cepurīte vienmēr ir brūna, taču krāsas tonis var mainīties diezgan plašās robežas.